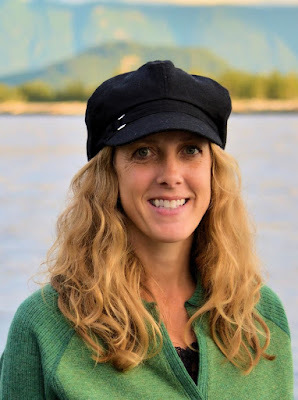 Melissa Clampitt has been named the SNRE Employee of the Quarter for October to December 2015. She is the administrative assistant for the Mat-Su/Copper River District Extension office at the Matanuska Experiment Farm. A nominating letter from a co-worker states, “Melissa Clampitt is a naturally service-oriented person. She illustrates this every time she answers the Mat-Su District office telephone, responds to email inquiries and talks with all who comes to the office.” The letter says that when people stop by at the very end of the afternoon, before the office closes, Melissa is friendly and connects them with the agents they need to speak to or helps them find the publications that help answer their questions. She is always personable and helpful. In addition to working with Extension clients and volunteers from the 4-H, Master Gardener, Family and Community Education and StrongWomen programs, Clampitt updates the Mat-Su District Facebook page and works to get district information out through various channels. The nominating letter says, “For example, due to Melissa’s work for the upcoming Cabin Fever Reliever Day, the 15 classes offered are full two weeks before the due date!” The event featured how-to classes from agents and Master Gardeners on subjects like raising chickens, designing greenhouses, and gardening and food preservation. She and her husband, Richard, moved to Alaska in 1993, when he was stationed at Eielson Air Force Base. They moved to Anchorage three years later, when her husband transferred with the Air National Guard, and they relocated to Palmer in 2003. She trained to be an elementary school teacher but ended up staying at home with her two children and homeschooling them. She handled the billing and administrative details for her husband’s counseling practice for four years before starting at Extension during the 2014 fair. The temporary job became permanent and she stayed. Her children are now 19 and 21. Her hobbies include just about anything outdoors, she says, including boating in Prince William Sound, cross-country skiing and hiking.